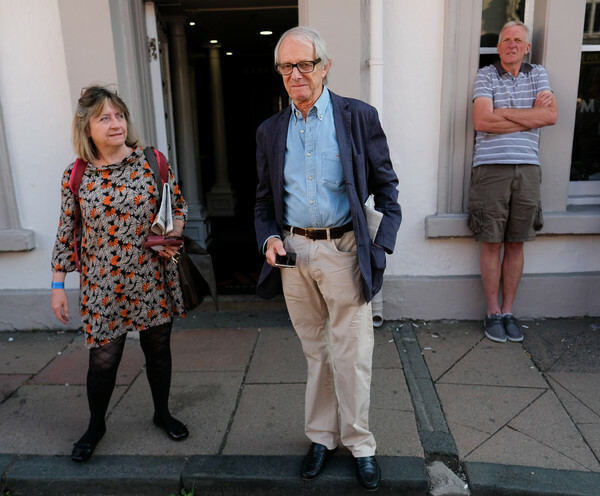 Film and TV director Ken Loach stands outside the County Hotel as he attends the 134th Durham Miners’ Gala on July 14, 2018 in Durham, England. Over two decades after the last pit closed in the Durham coalfield the Miners Gala or Big Meeting as it is known locally remains as popular as ever with over 200,000 people expected to attend this year. The gala forms part of the culture and heritage of the area and represents the communal values of the North East of England. The gala sees traditional colliery brass bands march through the city ahead of their respective pit banners before pausing to play outside the County Hotel building where union leaders, invited guests and dignitaries gather before then continuing to the racecourse area for a day of entertainment and speeches. Beginning in 1871 the gala is the biggest trade union event in Europe and is part of an annual celebration of socialism.